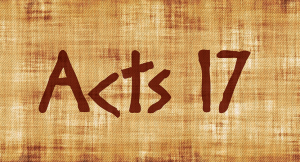 Today we’ll finally resume our study of Acts 17, for which our intent is to shed light on what I refer to as “the incident at Berea.” As always, the best way to understand a passage of Scripture is to study its context. For my last three posts pertaining to this study, I wrote about the person and character of the apostle Paul. Now we’ll briefly examine one of Paul’s companions, Silas. Silas, mentioned nowhere in the New Testament except the book of Acts, first comes into view in chapter 15 and makes his final appearance in chapter 18. 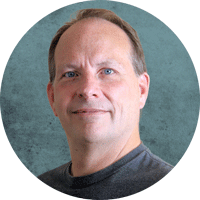 However, from the very beginning of his presence on the Biblical stage, Silas plays an impressive role. His grand entrance came as a result of what scholars often call the Jerusalem conference, through which the apostles recognized that God was indeed calling Gentiles into His church and determined that they need not follow all the ritual laws pertaining to the Jews. After a tumultuous meeting characterized by “much debate” (Acts 15:7, NASB throughout unless noted otherwise), the apostles and elders in Jerusalem sent Judas called Barsabbas and Silas with Paul and Barnabas on their return to Antioch (verse 22). That same verse refers to Judas and Silas as “leading men among the brethren.” In addition, these men were known as prophets (verse 32). The next verse sheds light on the part Judas and Silas were to play, explaining that these men were commissioned to carry a letter from the conference to Antioch. The letter itself, recorded in the chapter, summarizes the decision of the apostles and elders, but the passage goes on to point out that Judas and Silas “will also report the same things by word of mouth” (verse 27). These men were entrusted with explaining the details and rationale of the apostolic decision. This issue had been a divisive one among the early church, so it is clear from the first mention of Silas that he had been entrusted with a critical responsibility. Barnabas had been Paul’s companion during what is now often labeled Paul’s first “missionary journey,” which had taken place before the Jerusalem conference. This partnership was not to continue in subsequent journeys. After a “sharp contention” (Acts 15:39) between the two men regarding whether to take John Mark with them, Paul and Barnabas parted company. Barnabas traveled to Cyprus with Mark, and Paul left for Syria and Cilicia with a new traveling companion, Silas. 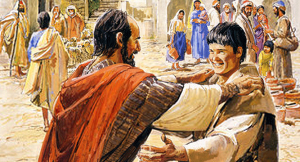 Luke, the author of the book of Acts, mentions Silas 12 times in passages that correspond with Paul’s second “missionary journey.” Throughout most of this excursion, Silas stayed by Paul’s side, sharing a beating and imprisonment in Philippi (Acts 16:22-24), the miraculous conversion of the jailer (verses 25-33), and a nighttime escape from an angry mob in Thessalonica (Acts 17:5-10) to Berea. 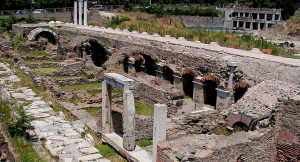 It was in Berea, after Jews from Thessalonica began stirring up the crowds, that Paul left Silas and Timothy behind (verses 13-14), heading to Athens. Silas and Timothy eventually caught up with Paul in Corinth (Acts 18:5). This verse is the last to mention Silas. 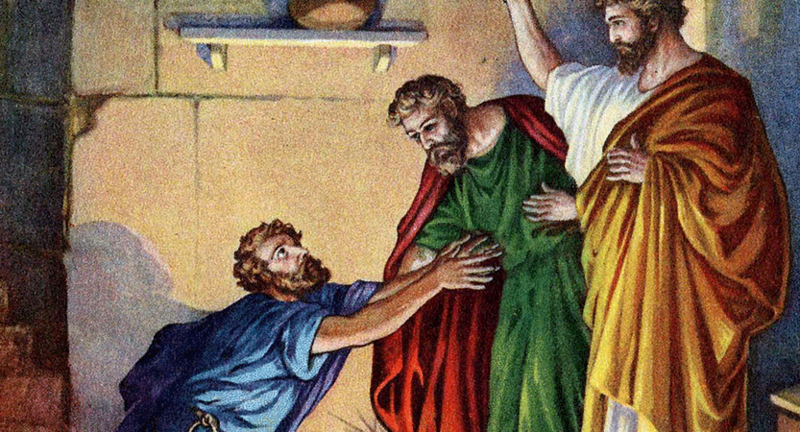 Because Silas had a reputation as a significant leader in the early church, it is surprising that he seems to drop out of the picture at the end of Paul’s second journey. Many scholars believe, however, that there may be more to the story. The name Silas is Greek, and probably a contraction of Silouanos, which is a transliteration of the Latin Silvanus. This leads to the conjecture that the Silas of the book of Acts is the Silvanus mentioned in three of Paul’s letters and one of Peter’s. In writing to the church at Corinth, Paul speaks of a time when “Silvanus and Timothy and I” (2 Corinthians 1:19, ESV) preached the gospel to them. Acts does not mention Silvanus in any of Paul’s journeys, yet it does describe Silas and Timothy catching up with Paul in Corinth, as noted above. Silvanus appears in Paul’s greetings in both of his letters to the church at Thessalonica, the very same city from which Paul and Silas made their nighttime escape. The greeting in both books is identical: “Paul and Silvanus and Timothy, to the church of the Thessalonians” (1 Thessalonians 1:1; 2 Thessalonians 1:1). Most scholars believe these letters were written only months apart, and both from Corinth, where Silas and Timothy caught up with Paul. The final letter that mentions Silvanus (a.k.a. Silas) is 1 Peter, but not in the greeting. The final three verses of the book seem to be a sort of appendix, added directly by Peter after the letter had been completed “through Silvanus, our faithful brother” (1 Peter 5:12). In the First Century it was common for an individual to have an amanuensis (or scribe) assist in writing a letter or other document. This individual might do nothing more than record the words he heard, but some such scribes functioned as editors, and some had the freedom to choose the particular wording within guidelines provided by the employer. 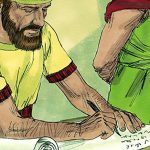 We don’t know how much latitude Peter gave Silvanus, but since he was considered a “faithful brother,” and may well have been the “leading man among brethren” mentioned earlier, he could have had considerable freedom. What is clear is that Silas / Silvanus did not disappear from the scene, but continued to serve the church. What are your thoughts about Silas? What have you learned in your study? Please feel free to comment below. Next week we’ll take a look at Timothy. Also, please bear in mind that right now we are merely gathering facts. Much of what we learn may not have a direct bearing on our understanding of the “incident at Berea,” but it’s better at this stage of our study to err on the side of gathering too much information rather than leaving out some critical piece of information. 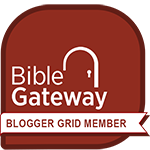 Next PostThe Bereans: Who Was Timothy?